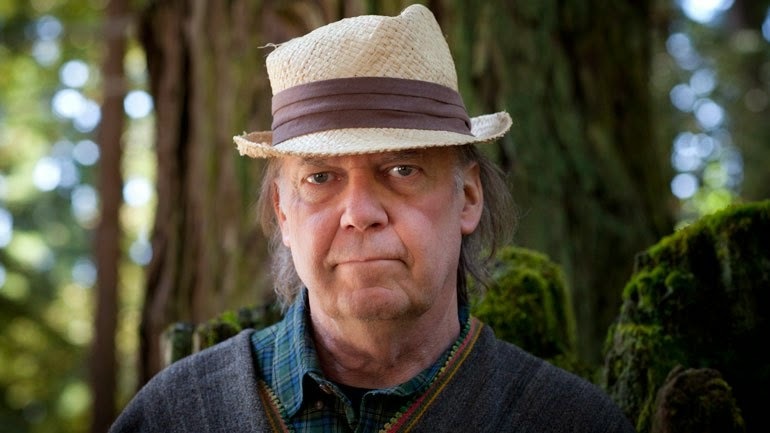 In his 50-plus-year career, Neil Young has penned more than his fair share of protest songs. In 1972, he and Graham Nash rallied against President Nixon with “War Song”; the poignant “Ohio” came in response to the 1970 shootings at Kent State; the Harvest standout “Alabama” sees Young campaigning for civil rights; and 2006’s Living with War is one extended critique of George W. Bush. More recently, Young has developed a pronounced interest in the ongoing debate of corporate sprawl, spurred on by several viewings of the documentary Under The Influence. To lend his support to the cause, Young has released a new live track entitled “Who’s Gonna Stand Up”. This version of the song was recorded back in July during a show in Liverpool alongside Crazy Horse The six-minute folk rock jam is Young at his most anthemic and snarling, crying foul of fossil fuels and corporate greed while lamenting what dire consequence await mankind if we don’t take immediate action. Under the guise of democracy, huge global corporations have purchased our politicians and are writing laws that poison our planet and dismantle our democratic process. Corporations have usurped democracy by using their vast wealth to influence politics and silence the citizen voice in government. Under The Influence focuses on what can and is being done by conscious and committed citizens, movements and businesses to reverse the ecological destruction and take back democracy.